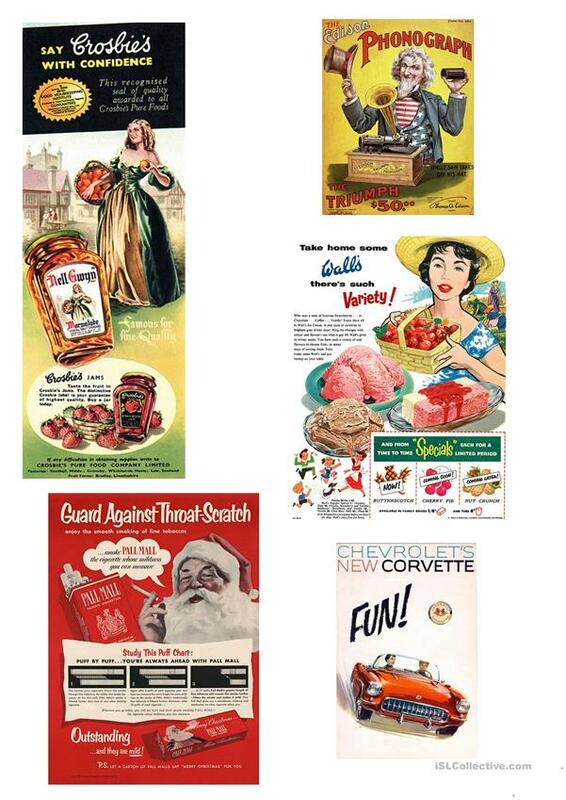 Speaking about how adverts changed throughout the years. This downloadable worksheet is intended for high school students and adults at Intermediate (B1) level. It is a valuable material for strengthening your students' Speaking skills. bettylafea is from/lives in Poland and has been a member of iSLCollective since 2012-09-12 01:34:07. bettylafea last logged in on 2019-03-29 07:59:38, and has shared 14 resources on iSLCollective so far.